John Flucke's Blog - Ramblings of Dentistry's Technology Evangelist: Stop the Presses - Disney Buys Lucasfilm for 4.05 Billion! Stop the Presses - Disney Buys Lucasfilm for 4.05 Billion! 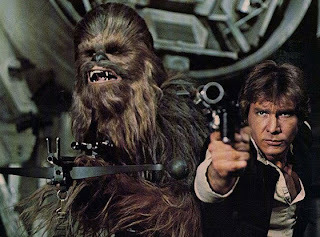 If you are a die-hard geek then when I say "Star Wars" your furry and/or pointed ears perk up. And of course if you aren't a geeky type or at least interested in geeky things, then chances are you are reading the wrong blog. So... listen you must... to this announcement. On Tuesday, the Disney Corporation purchased Lucasfilm from George Lucas for a whopping 4.05 billion dollars. "For the past 35 years, one of my greatest pleasures has been to see Star Wars passed from one generation tot he next," George Lucas said in a statement. "It's now time for me to pass Star Wars on to a new generation of filmmakers. I've always believed that Star Wars could live beyond me, and I thought it was important to set up the transition during my lifetime. "I'm confident that with Lucasfilm under the leadership of Kathleen Kennedy, and having a new home within the Disney organization, Star Wars will certainly live on and flourish for many generations to come. Disney's reach and experience give Lucasfilm the opportunity to blaze new trails in film, television, interactive media, theme parks, live entertainment and consumer products." However, the sale just might not be the biggest part of the announcement. It was paired with the announcement that Episode VII will hit theaters in 2015. That is not a typo. There will be more episodes and the next installment will be in 2015. Lucas will be an adviser on that project but will not be directly involved from a creative standpoint. I'd like to close this post with my all time favorite movie line ever, "I find your lack of faith... disturbing."